Home/News, Research/Ohio business leaders remain optimistic as workforce worries grow. Ohio business leaders remain optimistic as workforce worries grow. 3rd Quarter Prosperity Pulse Results. 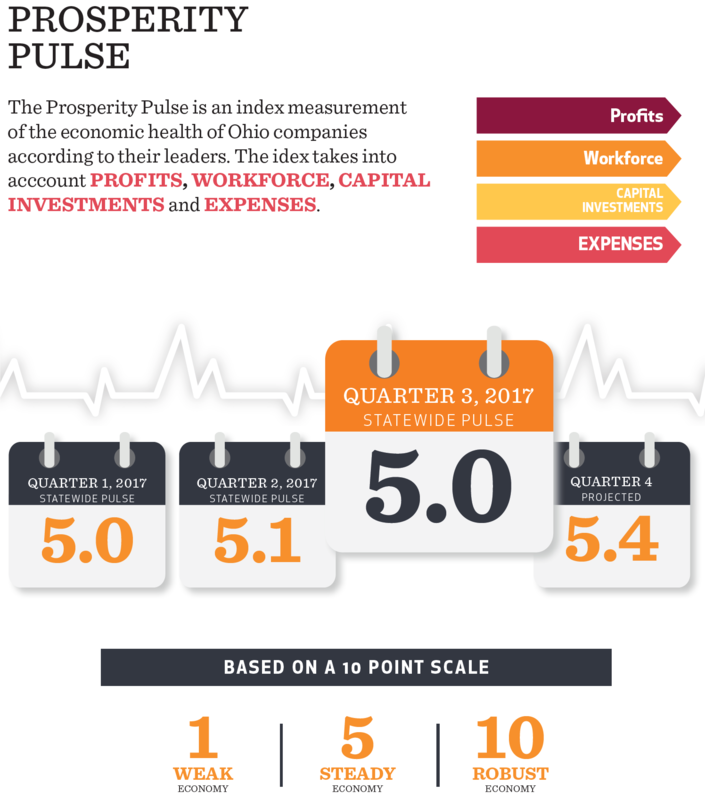 The statewide Prosperity Pulse moved down slightly from 5.1 to 5.0. The cause of the downward movement can be directly contributed to a decrease in capital investment this quarter. Capital investments were also projected to continue to decrease next quarter. Profit and workforce numbers were steady, and overall business expenses remained the same. 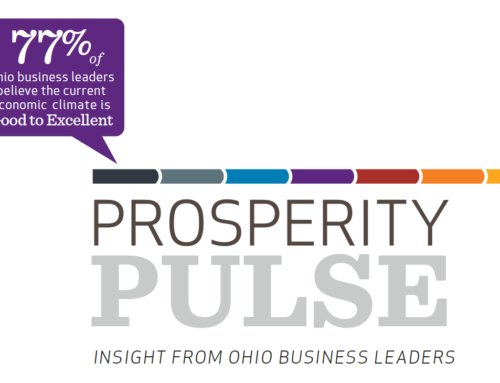 77% of business leaders feel good about Ohio’s economic climate. 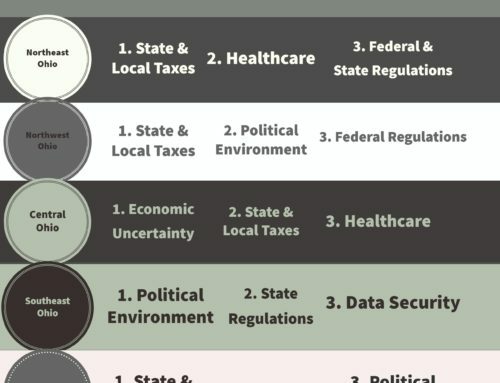 Concern levels over Ohio’s political climate, regulations and taxes noticeably decreased. 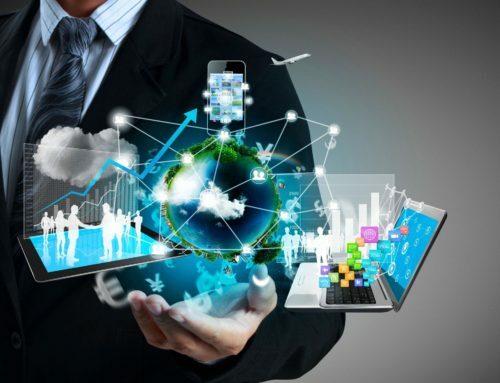 Concerns with attracting qualified talent, productivity and overall expenses related to employees significantly grew in the third quarter. The Prosperity Pulse is presented on a 1 to 10 scale and measures profits, workforce, capital investments and expenses to aggregate an index. Over 400 responses were received. 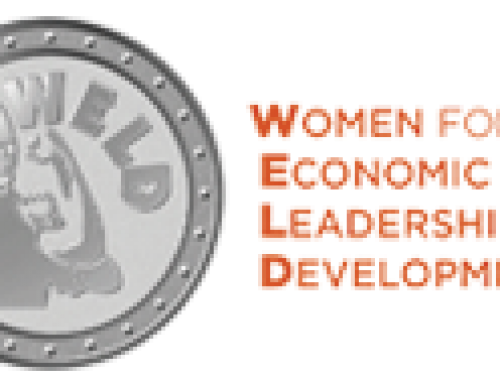 A high score of 9.1 – 10 would mean Ohio businesses were thriving and flourishing and economic health would be robust, while a low score of 1 – 2 would mean they’re encountering significant challenges and the economic health would be weak. By Justin Barnes| 2017-11-08T16:16:57+00:00	November 8th, 2017|News, Research|Comments Off on Ohio business leaders remain optimistic as workforce worries grow.